Today we talk to author Arie Kaplan, who has written many books for Lerner. 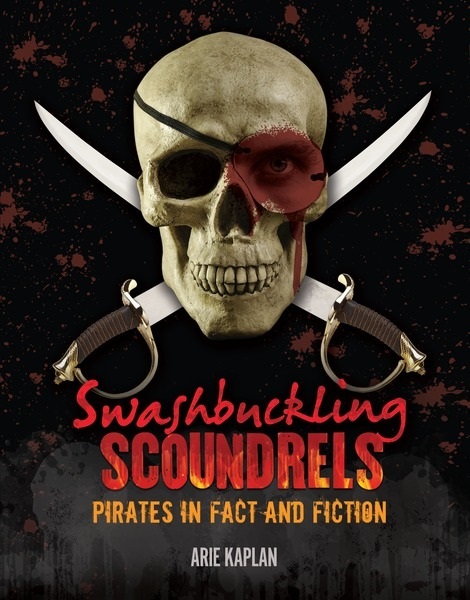 Today, he’ll be talking about his latest Twenty-First Century Books title, Swashbuckling Scoundrels: Pirates in Fact and Fiction, a young adult nonfiction book sure to attract every reader from the reluctant to the ravenous. Lerner: In addition to writing nonfiction for kids and teens, you have a few other things up your sleeve. Explain briefly (if you can!) your various jobs. Arie Kaplan: Well, I like to put it like this: In addition to my work as a nonfiction author, I’m a screenwriter for television, comic books, and videogames. That sort of covers most (if not all) the facets of my career. Often, my comics involve so much research that it’s not that much different from writing a nonfiction book. And no matter whether I’m writing a comic book story or a nonfiction book, it’s all about getting into the heads of the characters. The story doesn’t really click until you can relate to the characters in your story. So when I was writing Swashbuckling Scoundrels, the book really started to come together once I started to understand what it was like to live as a sailor in England in the 1700s. Usually, it meant you grew up poor, and often it also meant that you had a sadistic captain who tortured his crew. And if that was the case, then life as a pirate must have seemed quite appealing. 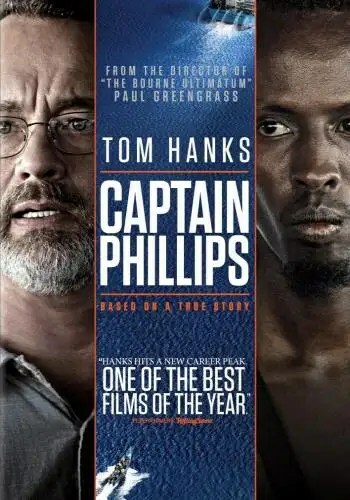 That’s not to excuse the horrible things these pirates did, but it made me understand them, and why they did what they did. Lerner: How do you come up with your ideas for your nonfiction titles? Arie: It’s never been hard for me to come up with ideas, because they’re all around me. The trick is, if I’m thinking about a given idea, I have to just take a moment and consider, “Is there enough of a story here to support an entire book? What’s the narrative here? Who are the characters? And what do I have to say about this topic that makes this story worth telling?” With Swashbuckling Scoundrels, it just seemed fascinating to me that the reasons that people became pirates in the 1700s are pretty much exactly the same as the reasons they become pirates in the 21st century in places like Somalia. Again, that’s not to excuse the terrible, unforgivable things that modern-day pirates do. They commit inexcusable acts that shouldn’t be forgiven. But I think that finding out why people turn to piracy does help me, as an author, to understand why they do what they do. So it doesn’t excuse their behavior, but it (at least partially) explains it. And it helps to work with amazing editors like Domenica DiPiazza and Peg Goldstein, both of whom I worked with on Swashbuckling Scoundrels. Lerner: What’s your writing process for writing nonfiction? How do you research the books? Arie: I write pretty detailed outlines, and I find that helps to sort of “find the story.” It helps me figure out the structure, as well as what to emphasize and what NOT to emphasize. More importantly, it helps me take a step back and look at the big picture, the larger canvas of my story. But while I’m doing all that, of course I’m doing tons of research. Whenever I start a new book I always have a pile of books beside me for reference. I’m taking notes from those books while I’m working on the outlining process (and then later, while I’m writing the manuscript itself). And as chaotic as this might sound, I like to physically spread the books around me while I write – this one will be opened to this page, that one will be opened to that page—so that I can refer to multiple sources at once. I feel like it adds layers to the book and makes me feel more immersed in it. For Swashbuckling Scoundrels, I read everything from an ancient Roman legend about a pirate named Diomedes to a British law book from 1632. It was pretty cool. Lerner: What was your favorite part of researching pirates? Arie: Well, I got to re-read Treasure Island, so that was fun. That was one of my favorite books growing up. And writing Swashbuckling Scoundrels was also an excuse to watch as many pirate movies as I possibly could, many of them from the Golden Age of Hollywood. And finding out stories about real-life pirates like William Fly, who was a very minor pirate in the early 1700s. He had an extremely short career, because not long after he turned pirate, he was arrested and sentenced to be hanged. And on the day of William Fly’s hanging, as he was standing on the gallows, he noticed that the noose prepared to hang him hadn’t been tied properly. Since Fly was an experienced sailor himself, he sat the hangman down, showed him the proper method, and retied the knot himself. Then he addressed the crowd, which was filled with many sailors and sea captains. Fly said that captains should treat their sailors better, because unfair treatment by his captain is what drove HIM to piracy. Then the executioner placed the properly tied rope around Fly’s neck and hanged him. Now, that’s a funny story—that Fly had to sit the executioner down and teach him how to tie a knot correctly—but it also speaks volumes about the unfair treatment sailors experienced, and why many of them felt justified in having chosen the life of a pirate. The story also shows that Fly took great pride in his work as a sailor, as did many other pirates. Lerner: Did you learn anything especially surprising or unexpected about pirates in your research? Arie: Well, I learned something really surprising about Blackbeard. Many people know that he wore lit fuses under his hat when he boarded a ship. The reason was that the fuses would emit plumes of smoke and make him look like a demonic creature. But that’s not the ONLY reason. It was also because Blackbeard figured that if he made himself look as monstrous as possible, the sailors whose ships he was boarding would surrender, and he wouldn’t have to resort to violence. So in a way, that was him being MERCIFUL. Blackbeard was basically being like Bruce Banner [the Hulk]: “Don’t make me angry. You wouldn’t like me when I’m angry.” But in all seriousness, it surprised me to learn that, because it was basically an instance of a famous pirate using a gimmick to “psych out” his enemies so that he wouldn’t be forced to physically hurt them. It was a rare example of a pirate showing mercy. It’s also a rare example of a pirate using a psychological trick to get what he wants in the simplest way possible. Lerner: Was there anything you had to leave out of the book? that—myth and rumor—and so I couldn’t include it. And finally, I had amassed a ton of research on Grace O’Malley and HER life and career. I only put a little bit of that in the book (I had to leave out much of it because it would’ve made the book too long), but she just had an incredible career. Was she even really a pirate, or just a freedom fighter? It depends on who you ask, really! Lerner: Describe your dream project. Arie: Well, when I was studying playwriting and screenwriting at NYU, I developed a cycle of stage plays. They were science-fiction comedies, and they all took place on Mars. They were basically the story of this one family. It was a multigenerational saga about a Martian freedom fighter and his descendants. But it was all played for laughs, and tonally it could be described as “Louis CK on Mars” (or “Woody Allen on Mars”). I envisioned a really “cartoony” aesthetic like the one you’d see in old Flash Gordon comic strips or Warner Brothers cartoons. I haven’t touched or looked at any of those stage plays in years. But I’d like to dust those plays off and revise them and do something with them. Maybe actually get them produced. And even though the plays took place on Mars, many of the things that happened to the characters were based on actual incidents from world history. So even then, I was doing a ton of historical research. Just like I do now. Lerner: In a previous interview with Comicsverse, you mentioned you were a fan of Gilmore Girls. Who’s your favorite Gilmore Girls character? Arie: Well, Lorelai is awesome. And I relate to her in certain ways, and I also relate to Luke in certain ways. Of course, Rory’s a great character, and so is Sookie. And Lane. And Kirk! Well, you asked for ONE favorite character. But favorite Gilmore Girls characters are like potato chips; you can’t have just one. Thanks for talking to us, Arie.